The last thing Amy wanted or expected was to sail around the world with her father and her stepmother. What she really wanted was to turn 18 and take control of her own life. Amy, her father and stepmother embark on a tour of the world. Then the unthinkable happens…their ship is attacked by Somalian pirates. Amy’s father is the most valuable, which makes him Hostage One, her stepmother is Hostage Two, and Amy is Hostage Three. While the ransom brokering is playing out, Amy, surprisingly, finds not all of the pirates are as terrible as they first appear. She may even have feelings for one of them. Review: I still haven’t read Nick Lake’s Printz Winner, In Darkness, but I was nevertheless excited to start his newest book, Hostage Three. Even though the cover is not as appealing as it could be, I throughly enjoyed it. It wasn’t at all what I expected. It was not your traditional taken by pirates novel. For one thing, it’s set in the 21st century. Fast paced and thrilling, Hostage Three is an incredible read that will leave the reader heartbroken and wanting more. Amy’s spirit and heart were broken my her mother’s suicide, her fathers subsequent abandonment and new marriage. She is sullen and attention seeking in all aspects of her life. The first part of the book with Amy just on the yacht with her family shows much of her apathy for her current life and future. Lake did an especially good job with the captor/captive relationship. Even as Amy is ‘falling in love’ with Farouz (the pirate), she is aware of the bizarre situation and the extenuation circumstances around their feelings for each other. This awareness allowed me as a reader to ‘get on board’ (excuse my pun) their relationship. Their relationship feels surprisingly real and not forced for being on a ship in the middle of the ocean. Farouz is a perfect foil for Amy. His life has been full of hardship and together Amy and Farouz are able to work through some of their problems. However, where Lake really excels is in the juxtaposition of the Amy’s wealthy lifestyle and the pirates who are struggling to survive. His writing makes you thankful for the mundane parts of your life. This thriller will not disappoint. Hostage Three is moving, beautifully written, and makes you feel when you are reading every word. Anyone who is looking for a realistic fiction fix will appreciate Hostage Three. Sophronia is a tomboy of the first order. She would much rather spend time climbing dumb waiters and figuring out how they work than learning to curtsey, which is why her mother decided to send her to finishing school. Sophronia soon realizes that Mademoiselle Geraldine’s Finishing Academy is no ordinary finishing school. She is learning the art of eyelash fluttering as well as how to poison her dinner guests. However, not everything is as it should be at school. Air pirates are attacking the school looking for something the meanest girl in school has hid from everyone, even the instructors. Sophronia, along with her friends run headlong into the mystery. Set in a steampunk Victorian England and the first of four books, Etiquette & Espionage will enchant readers. Review: This book had been on my to read list for such a long time. During the winter break I finally had a chance to read it. I loved it! It was witty and refreshing. I adored the steampunk setting. Carriger did a wonderful job of creating the world without spending too much time on all the intricacies, which could have taken away from the plot. (Carriger wrote an adult series, The Parasol Protectorate set in the same world. I highly recommend this series as well and will be writing a review shortly.) The mechanical servants reminded me a bit of the TV show, The Jetsons. The paranormal aspect of vampires and werewolves were interesting and done differently than most books do. They were traditional with just enough innovation to make them interesting characters. Besides the inventive setting, I enjoyed all of the characters. So often with recent young adult novels the main character is well fleshed out and has interesting character development, but the secondary characters are lacking in depth. This is not the case with Etiquette and Espionage. Dimity and her brother, Sidheag, Soap, and Vieve all have interesting backgrounds. I can’t wait to get to know them further in subsequent books. I think Carriger did a wonderful job of developing the relationship between Soap (who works in the boiler room on the drigible and is ‘colored’) and Sophronia (from an upper middle class family). The class dynamics between all the different characters made the book and the mystery much more interesting. I cannot wait to read the next book in the series, Curtsies & Conspiracies.I am not very patiently waiting for my hold at Austin Public Library. Etiquette & Espionage delight and humor teens and adults alike. I would highly recommend it for anyone who enjoyed Grave Mercy and Dark Triumph by Robin LaFevers. The premise of both novels are similar in nature. 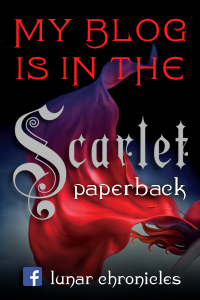 The Iron Fey series follows Meghan Chase, a seemingly average teenage girl…that is until she discovers she is the daughter of King Oberon of the Seelie Court. Her younger brother Ethan is taken by the Iron King, a new kind of fey that is destroying the Nevernever in order to lure Meghan into the world of the Fey. It is up to Meghan to defeat the Iron King, save her younger brother. With the help of her best friend, Puck and Prince Ash of the Unseelie Court, Meghan will find her own powerful destiny. Julie Kagawa knows how to write a fast-paced and compelling novel. The first three books in the series were well written. I didn’t know much about the ancient stories of the Fey before I started reading but I never felt lost in all of the lingo that Kawaga incorporated into the story. She built the faery world well and kept the rules throughout the series. I liked Meghan as a main character. She was spunky and stubborn, but didn’t come into the Nevernever innately knowing how to fight and everything about the world. I found this very refreshing. She had to slowly learn and was realistic about her limitations. 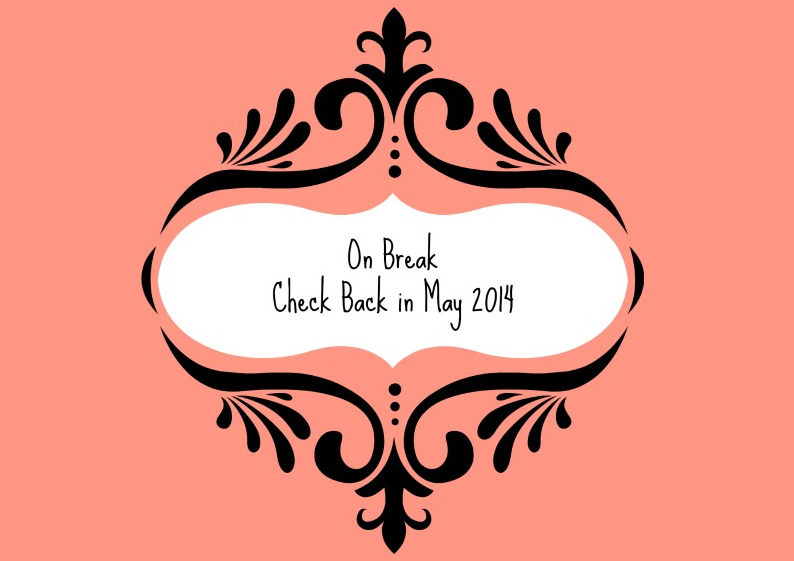 Meghan’s character arc and development all felt very real and her struggle to come into her own was heart-wrenching at times, but you, as the reader, were always on her side. One thing I really appreciated in this series is the love triangle. The love triangle between Megan, Robin Goodfellow (Puck), and Prince Ash was a part of the storyline, but it was never the main plot line. I also liked that Kawaga didn’t draw the love triangle out to all of the books. It felt more realistic to me that Megan didn’t waffle between her choices for hundreds of pages. While the first three books in the series were wonderful, The Iron Knight was my least favorite of the series. It was by far the weakest of the series. It follows Ash on one of his quests. The book felt rushed and it took a completely different turn from the rest of the series. I am tempted to lump it in with The Call of the Forgotten Series. The Iron Knight sets up for the new series. Because it is a bridge novel, it was trying to do too much. I think it would have been better to flush out different parts of the book and release it as its own series. I definitely recommend this series to anyone who is interested the paranormal or fantasy genre. This series is a unique take on old stories and breathed new life into old characters. It’s a quick read, but be careful once you start the first book, it’s hard not to hole up and read the entire series in one sitting. Boxers & Saints tells two sides of the same story. Boxers tells the story of Little Bao, whose village is abused by missionaries claiming the abuse is for good and in the name of Christ. Little Bao turns to the ancient Chinese gods and inspires a grassroots uprising, the Boxer Rebellion, that is successful for a time. Saints tells the story of Vibiana, who has no place in her family, who call her Four-girl. When her village is taken by Christian missionaries, she finally finds a home with them. As the Boxer Rebellion gains momentum, she must decide to either commit herself fully to Christianity or return to the culture that turned its back on her. Review: When I heard Gene Luen Yang speak a few months ago, he said that people either like Boxers or Saints, but not usually both. He was kind of right. I LOVED Boxers and liked Saints. Over all, the narrative together is brilliant and reading one without the other leaves the reader without the complete story. Yang has mastered the art of storytelling through comics. One reason that both Boxers and Saints are so compelling to read is that both Little Bao and Vibiana are likable characters. You want them to find happiness in their situations and win their respective sides. That is how Yang really captures both sides of the rebellion. There isn’t a right or wrong side and Yang makes that very clear. He shows the complexities of the issue while still creating an entertaining, fast moving plot. I also really liked how Yang didn’t sugar coat anything throughout the novels. He was very straightforward about the hardships both Little Bao and Vibiana faced as well as the cruelty on both sides of the fighting. Gene Luen Yang takes on one of the most controversial periods of modern Chinese history. These stories show Yang’s mastery of the human spirit. Boxers & Saints is must read and fully deserve all of the buzz they are getting. I can’t recommend these books highly enough. Rebecca Stead. Liar and Spy. Wendy Lamb Books, 2012. 180pg. Grades 2 – 6. Realistic fiction. (Set in the 21st century/Mystery). Bluebonnet Nominee 2014-2015. Georges (pronounced without the ‘s’ like Georges Seraut) is bullied at school. His former best friend ditched him for the popular table at lunch and he is dealing with some big changes at home. His dad lost his job and his family had to move from a house with a loft and a fire escape (every kid’s dream) to an apartment with a Mom who now works all the time. Georges joins home schooled Safer’s Spy Club. He also meets Safer’s quirky younger sister, Candy, and family. Safer and Georges investigate the mysterious Mr. X. As the investigation heats up, Georges finds out he has fears he never knew. The novel has a pretty big plot twist at the end. The reader comes to find out the Georges is a pretty unreliable narrator, who befriends another unreliable narrator. Stead’s writing is straightforward, littered with hints about the multiple plot twists. 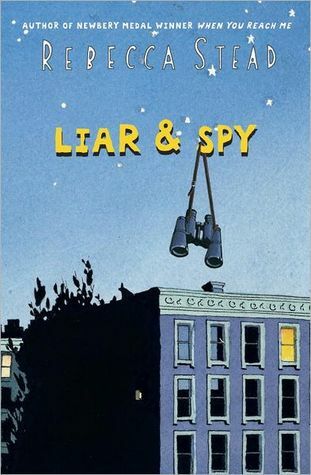 Children will delight at looking for the clues and figuring out what is really going on with Georges at school, with his family and what is actually going on with Safer’s Spy Club. Sometimes it is hard to tell if Georges is a female or male protagonist, but besides that quirk, Stead does a good job of developing characters. Stead captures childhood at its best and at its worst. This is a book that children will enjoy for years to come. Jack Gantos. Dead End in Norvelt. Farrar, Straus and Giroux, 2011. 341pg. Grades 4 – 7. Realistic Fiction (Set in 1962). Newbery Winner. Norvelt, so named after Eleanor Roosevelt, is a sleepy town where everyone knows everyone’s business. This is not always easy for young Jack Gantos, whose nose bleeds at the least bit of provocation and at the most inopportune times. It looks like the summer is going to pass Jack by. He is grounded for the entire summer after he accidentally fires his dad’s Japanese shotgun and mows down his mother’s cornfield (which his dad told him to do!). The only time he is allowed out of house it to help old Miss Volker write obituaries. Surprisingly, Jack enjoys helping with obits even before he starts to notice that something fishy going on in Norvelt. Norvelt’s elderly are dropping like flies, which eventually garners the notice of the police. As the mystery unfolds, Jack meets up with the Undertaker’s daughter and sees a group of Hell’s Angels put a curse on the town. Even with being grounded, this turns out to be a pretty interesting summer for Jack. Gantos writes with sarcastic humor about small town life that is dying out. All of the characters have their own voice (you immediately get to know Jack and his family) and are well developed. 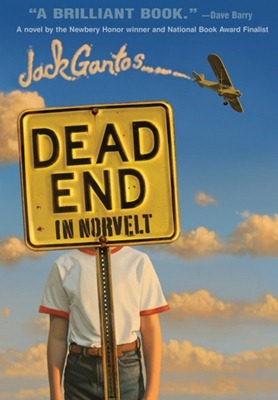 Jack’s idiosyncrasies, his bloody nose, the multiple deaths, and the book’s mystery will pull kids in to the story. This is a complicated book, but one that will entertain readers and is fully deserving of the Newbery Award.